STOW IT - DON'T THROW IT !! Growing families and growing businesses alike face the same dilemma - a need for more storage space. Have you considered renting additional commercial space or trying to squeeze more into your home-based office? We have your solution! Call Gold Beach Storage today to solve your storage problems. Whether you need storage for your personal or business needs, Gold Beach Storage offers clean, secure units at an affordable price. Located just six miles north of Gold Beach, you will find our facility nestled on 2 1/2 acres and secured by an electronic gate. Traffic around your secure unit is limited to your fellow storage neighbors and (when occupied) the on-site live in resident who provides added site security. The safety of your RV, Boat, Trailer, Vehicle or other property is our #1 priority. We make self-storage easy! We are ready to help and will do everything possible to see that your storage needs are met. At Gold Beach Storage, customer satisfaction comes first. We're happy to show you available units with easy move-in terms - just give us a call at 1-541-247-2322 and experience our friendly, hassle-free service! 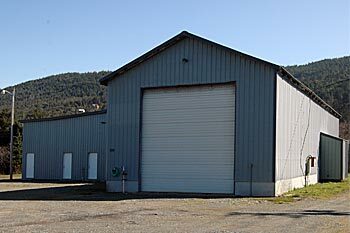 Gold Beach Storage is locally owned and managed. Call 541-247-2322 - we are ready to assist you with all of your storage needs. With indoor storage ranging in size from 10'x10' to 12'x40' with overhead doors, to the largest units of 28'x40', Gold Beach Storage has the storage solution for you! Each indoor unit has lighting, electricity and easy drive-up access. Gold Beach Storage is easily accessible from 7am to 7pm / 7 days per week. We can satisfy your needs for outdoor storage as well. With over 2 acres of open space accessible only by the key-coded gate, your RV / Car / Trailer / Boat will be assigned a dedicated and spacious area. 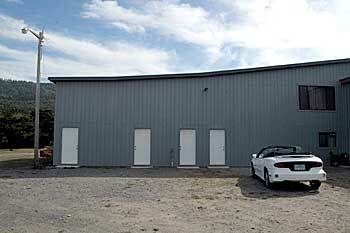 Call us at 1-541-247-2322 for details about available units and open space for rent.